Phoenix, AZ—I’ve been in the fight for Gun-Rights here since the 1980’s. Arizona had a real Wild West mentality mixed with the Liberal ideation of the huge influx big city Eastern transplants that brought their gun bans with them. Those from New York, New Jersey and Chicago fled from their cities but quickly demanded the same kind of Liberal baloney that made them run away in the first place! It may not make sense, but it’s reality. Gun control has long offered the false promise of greater public safety. Some people actually believe that in a free society you can simply make laws and people will somehow obey them. If we can’t keep drugs and weapons out of our maximum-security prisons how can we possibly control them in our cities? The problem with gun control is a simple one. Gun bans are unenforceable. The Fourth Amendment in our Bill of Rights guarantees the right to be free of unreasonable searches. Okay, many people hate our hard won freedom and the Second Amendment that guarantees the right to keep and carry firearms more than anything. How can our government search everyone in order to seize his or her firearms? As it is, every year we spend hours, even days and weeks in lines waiting to be frisked like a criminals as we enter government buildings, planes, boats and trains. Gun bans are only enforced by the honor system. Since when do violent criminals and psychopaths have honor? It’s obvious that honorable and law-abiding people are the only ones that obey the gun bans. By banning guns we guarantee only criminals have guns. Okay, some believe that cops are the solution. However we’ve redundantly seen how poorly they’ve responded in virtually every mass shooting. The cops are too little and always too late to stop the carnage. Today our cops can only be counted on for a great show of military might with their fashionable SWAT gear and military style vehicles for the nightly TV news. We can of course remember well their wonderful victories in places like Waco, Texas and Ruby Ridge, Idaho. Who can forget the pageantry of Jefferson County, CO SWAT cops marching around the Columbine High School while school kids were being slaughtered inside? The cops dutifully waited until the gunmen committed suicide and the victims bled to death before they entered the school. When the dust settles after a mass shooting we get the body count and see the grieving relatives on TV. Quickly politicians promise us the violence will end with just one more gun ban. Of course we know the answer to that, gun bans only make things worse. The most dangerous place in America is those places with the feel good, Gun-Free Zone signs. Ignorance is bliss if anyone actually believes that those signs do anything but remind deranged misfits they need not fear any resistance if they begin killing people. There are those that believe that the police should handle everything and that they have no personal responsibility to protect themselves, families, and neighbors or for that matter their country. Self-defense is really not about politics. It’s not about laws either. Self-defense is deeply rooted in the law of survival. Simply put, those that can’t or won’t step up to the plate and use every means to survive were not meant to live. Charles Darwin is the obvious ultimate authority here. 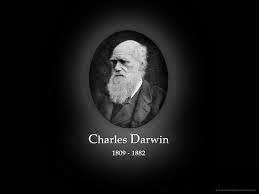 Darwin was not yet around to influence our founding fathers but they seemed to understand the concept he later established in his widely accepted teachings. Every sane, sober and competent American has an absolute duty to make sure they and their families survive. Abdicating this responsibility is not a sign of civilization but one of ignorance. That means firearms must be treated like fire extinguishers, seat belts and first aid kits. Professional training and safety are key elements too. Propaganda generated by history’s worst despots, has always brainwashed the citizenry into believing that they should surrender their instinct for survival to the agents with the bucket helmets, jackboots and rifles. Fools fall for that old line every time. What’s past is prologue. An absolute home run here, Paul. The most jaw-dropping part is how the left-wing liberals, and their partners in the propaganda wing liberal media continue to push for greater legislation, greater intrusion, and higher taxes with every passing year. And does any of this stuff ever get retracted? Just ask the TSA. Oh yeah you know it Paul. Most of the time it is hard to distinguish the thought process of your average liberal from that of a five year old child. Back in the 1920’s and 30’s their unique brand of childish fantasy thinking gripped the Western Democracies with the idea that they could outlaw war and they did. As a result the democracies disarmed while the brutish Marxist totalitarian regimes built up and in no time the world was at war again. A war more terrible then mankind had ever seem before. A war that took sixty million lives. That kind of liberal kindergarten thinking should be considered a mental illness and those self-proclaimed intellectuals who practice it confined to mental wards for the protection of the rest of us. How’d I Miss Lena Dunham? We Must End Zero Tolerance Airport Gun Arrests! St. Patrick’s Day in Chicago, The way it Was! Mel Gibson Deserves Forgiveness and a Break!